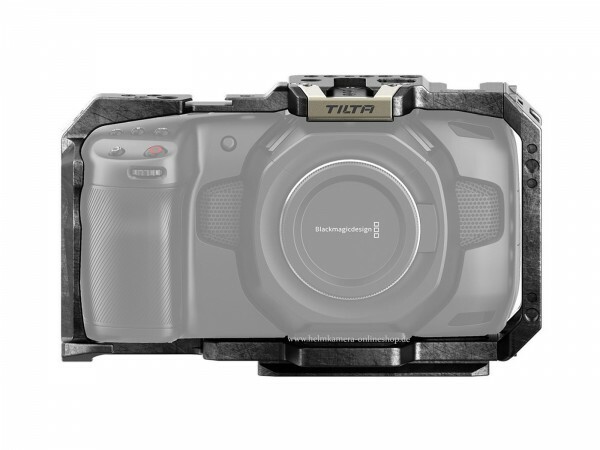 Produktinformationen "Tilta Full Camera Cage für BMPCC 4K - TA-T01-FCC"
Das Tilta TA-T01-FCC Kamera Rig ist speziell für die Blackmagic Pocket Cinema Camera 4K konzipiert. This “full” camera cage provides complete protective armor for the BMPCC 4K camera body while providing several 1/4”-20 and 3/8”-16 mounting points as well as three cold shoe mounting points. The base of the cage also provides several mounting holes when attaching your camera to gimbals to more easily fine tune the balance of your setup. A variety of different baseplates can be attached to the bottom of the cage, allowing for various rod mounting and optional power supply configurations. The quick release top handle and various optional side handles can be attached to the cage to provide for different ways to comfortably operate your camera setup. Weiterführende Links zu "Tilta Full Camera Cage für BMPCC 4K - TA-T01-FCC"
Kundenbewertungen für "Tilta Full Camera Cage für BMPCC 4K - TA-T01-FCC"